The Phoenix Precision Bi-Pod is the most advanced bipod available today. 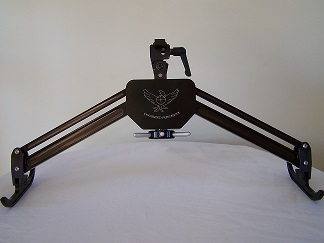 The only bipod to utilize a unique Worm Gear System which provides the smoothest and most positive height adjustment available. This drive system virtually eliminates “creep-down” and allows the shooter to make height adjustments with surgical precision. A 2″ section of Weaver style mount is included that can be screwed to the rifle stock or secured to existing Freeland and Anschutz hand-stop rails with the use of optional tee-nuts. Oversized Ski’s allow the rest and rifle to track straight back after recoil and eliminates the “hop” found in other bipods! Weighing in at only 1lb 15oz it is still incredibly solid, and easy to transport.